Roy Estate was founded by Charles and Shirley Ro; we first met with them at their home overlooking the vineyard (Charles passed away in 2010). Shirley has since sold Roy Estate to husband and wife Stephan Crétier and Stephanie Maillery (managing partners) but remains actively involved as Roy Estate’s Brand Ambassador. Stephan founded GardaWorld; in more then 20 years the company has grown into a formidable and large security provider. Stephanie is an actress with a number of credits to her name. In addition to the Napa Valley, they divide their time between Montreal and Dubai. Shirley is an east coast native who fell in love with the Napa Valley and eventually moved here. The Roy’s original intent was to build a home overlooking vineyards (which they did) but initially were not expecting to make wine. The Roys soon decided to plant a few acres of vines and sell the fruit to other wineries. 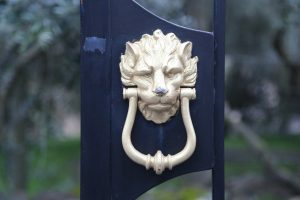 However well-known winemaker Helen Turley was introduced to the property and quickly saw its potential as a premium site capable of producing exceptional wines. With her guidance, the Roy’s eventually planted 17 acres to Cabernet Sauvignon, Merlot and Petit Verdot (which in our humble opinion, is now producing some of the nicest Petit Verdot in the valley). The site (formerly called Double Eagle Ranch was at one point owned by former professional golfer, Johnny Miller) is a very unique piece of property located in the southern reaches of the valley slightly south of the Stags Leap District. The rolling hillsides are covered with vines – almost reminiscent of parts of wine country in Bordeaux or even Tuscany. The location is very distinctive in that its fairly open facing a southerly direction; on a clear day from the upper reaches of their vineyard, one has views of the San Pablo Bay in the distance along with the Richmond San Rafael Bridge. The northern portion of their vineyard is supported by hills which tend to block some of the warmer summertime temperatures often found in the more northern reaches of the Napa Valley. In addition this location receives a fair amount of cooling breezes compared to sites located short distances away which typically do not experience much wind. 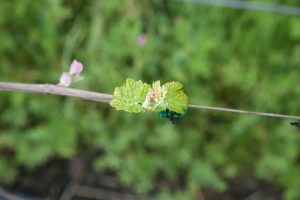 As a result of its location and unique terroir, the estate vineyards have less dramatic hot and cold spells throughout the year resulting in very even growing and ripening conditions for the grapes. Perhaps the Native Americans also recognized this unique micro climate. The site was home to Wappo Indian camps located next to a blue-line creek that runs through the property. A number of holes were drilled into the lava cap rock which they used for grinding acorns – this portion of the property is fenced off and seperated from the rest of the vineyards. 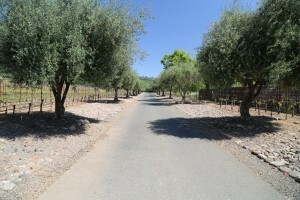 In addition to the unique micro-climate on the property, the site also features two distinct geological sections – one side a lava covered rock layer with thin soils on the hillsides (planted to the Cabernet Sauvignon) and the other side has deeper more loamy soils and is planted to Merlot. A significant amount of their wine making is conducted in the vineyards. Two separate irrigation systems are installed – a primary and a secondary line, specifically introducing water to vines that for whatever reason need special watering requirements. Micromanagement is key here. Highly respected long time Napa Valley family, the Pina’s are in charge of the vineyard management. Well known winemaker Philippe Melka, has made the wines since 2005. Philippe grew up in Bordeaux, earned his degree in Geology at the University of Bordeaux and later his Master’s degree in Agronomy and Enology. His first wine job was at Château Haut Brion in Bordeaux. His introduction to the Napa Valley came in 1991 as an intern with Christian Moueix, proprietor of Chateau Petrus in Bordeaux and Dominus in Napa Valley. Philippe came to Dominus to study soils – then spent a few years as a traveling winemaker and ultimately settled in the Napa Valley in 1994. Philippe continues to make the wines after the transition in ownership and is very involved in their vineyards. 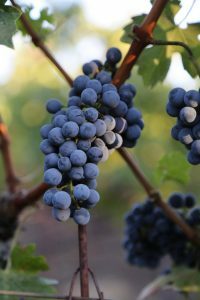 His wine philosophy with this site is to produce wines moderate in alcohol and seek a balance between ripeness, flavor and acidity. Their wines are typically around 14% alcohol. 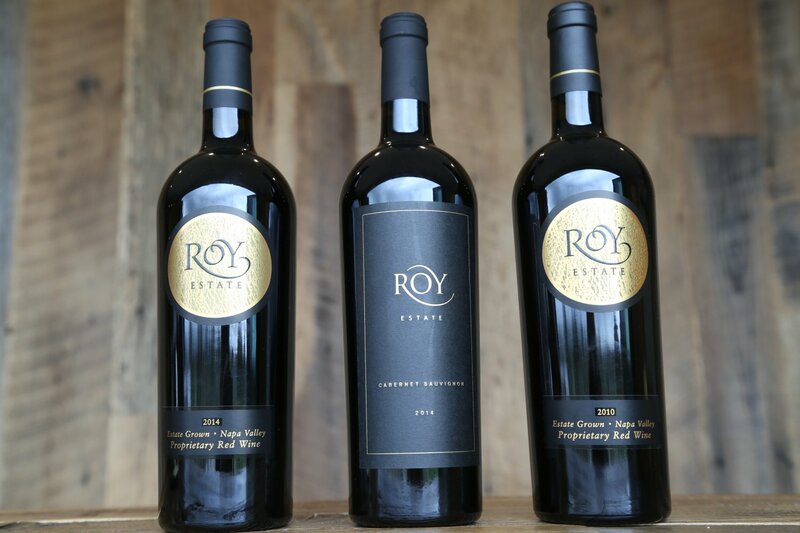 Roy Estate produces two primary wines, a Proprietary Red and a Cabernet Sauvignon. The initial thought was to produce a single Cabernet Sauvignon but based on the site, Philippe recognized “two voices” in the vineyard and decided to express this with two wines. As Charles eloquently told us, “we ended up with two singers rather than a choir”. Their first commercial release was in 2003. Both wines are masterfully crafted. But there is yet another wine, a selection generally from the same vineyard blocks each year – a wine that is not made every year. When this wine is made, only a barrel is produced – originally it was called Le Rêveur (the dreamer in French) but when Charles died, Shirley changed the name from its masculine form to feminine and the wine is now called, La Rêveuse. The 2005 Proprietary Red is the more approachable of the two wines; the blend changes every year (sometimes dramatically) depending on the vintage and type of fruit they are working with. The 2005 is a blend of 77% Cabernet Sauvignon, 16% Merlot and 7% Petit Verdot. The bouquet is voluptuous and elegant at the same time. Sweet notes of vanilla show – inherently from the French Oak used during the aging, with a touch of cedar box complementing the pretty fruit aromas. Layered flavors of fruit line the palate including blackberry, blueberry and black licorice. The flavors are anchored by delicate tannins with a slightly dusty finish. There is nothing angular about this wine – it is soft, velvety and very rounded. It is an elegant wine with good acidity that will only improve with some cellaring, yet at the same time it is already well balanced for consumption now. Decanting is recommended before serving. The 2005 Estate Cabernet Sauvignon is 90% Cabernet and 10% Petit Verdot. 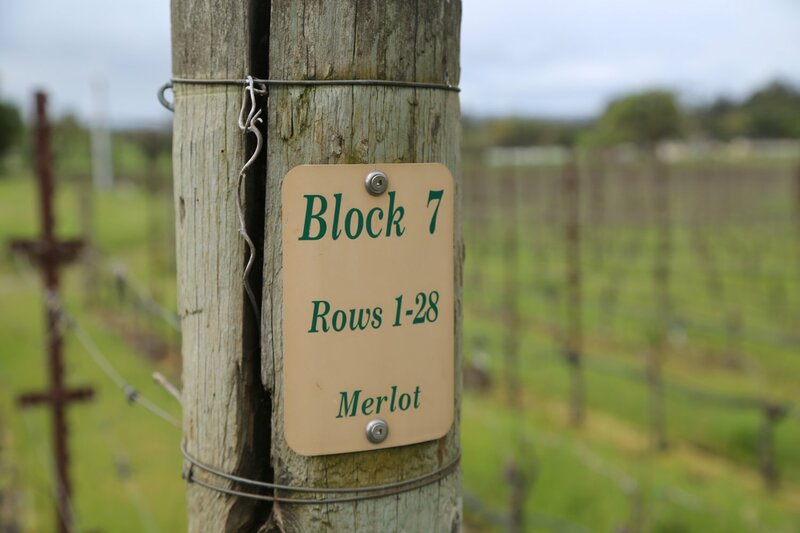 Because there are 17 individual blocks on the property the winemaking team has a range of clones and soil types to choose fruit from for this wine. Like all great wines, this one continues to evolve in the glass – earth and fruit driven aromas evolve to blackberry with slight chocolate nuances as the wine opens up. The body is rich, rounded and smooth with soft yet structured tannins on the finish. Their total production on both wines is typically less then 1,500 cases per year. Revisiting the property many years later and tasting through their current releases, we realized why we were so initially attracted to these wines. There is a certain cadence or feel across the palate that is highly pleasing – and texture plays a huge role in this. The wines are approachable in their youth based on the the supple yet well-defined tannins while having all the necessary characteristics for a long life. 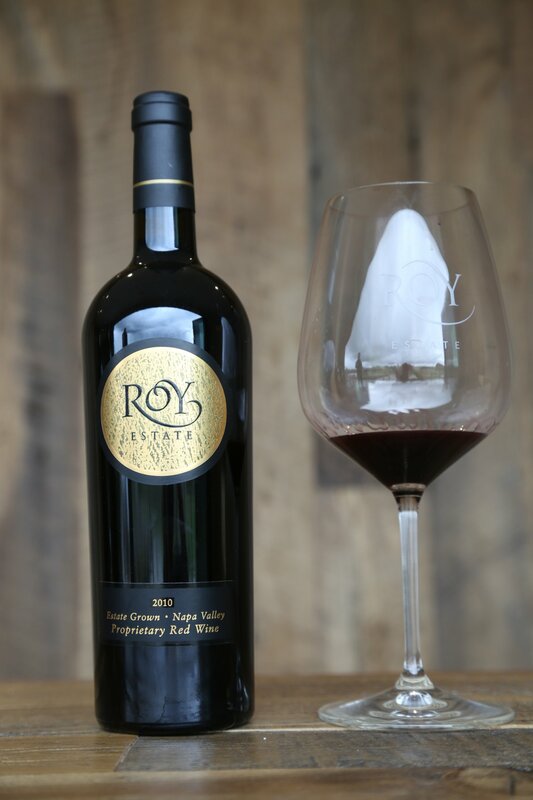 The 2015 Roy Estate Proprietary Red spent 18 months in new French Oak and is a blend of 65% Cabernet Sauvignon, 24% Merlot and 11% Petit Verdot. Bright fruit shows on the bouquet – aromas of blackberry, notes of old cedar box and as the wine opens, dessert spices and hints of chocolate show. Plush on the palate – well concentrated yet displays a softer style. Shows flavors of both blue and black fruits – tending to be more berry-like. Silky or tender if you will, tannins makes this a very approachable wine in its youth. The 2014 Roy Estate Cabernet Sauvignon was sourced from primarily the hillside blocks on the property and is 93% Cabernet Sauvignon and 7% Petit Verdot. Visibly dark ruby in the glass features an intriguing bouquet that is extremely well-layered that keeps on evolving – shows aromatics of blackberry and plum with a hint of tobacco. Equally as well-layered on the palate with a noticeable mouth watering juiciness if you will on the finish. Texturally the wine lingers with tannins that are firm, well-integrated with a somewhat chalky feel. 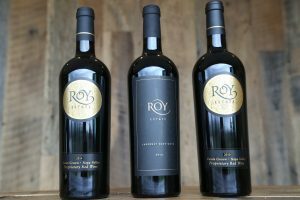 The 2010 Roy Estate Proprietary Red displays ripe fruit aromatics including a perceptible sweetness – plum, prune and black licorice. Plenty of aromatic layering. Nine years old at the time of our tasting, shows bright fruit on the palate with lingering flavors of black cherry. Somewhat savory on the finish with excellent acidity and slightly dusty well-integrated tannins. The Atlas Fire of October 2017 moved through their property, destroying a barn and the Roy’s primary residence (which is being rebuilt). However none of their vines were effected by the fire and fruit from this vintage had already been picked and was being vinified at a winery off site, well out of harms way. Eventually plans call for a winery to be built on site. Vineyard visits are typically reserved for mailing list customers, serious wine enthusiasts and collectors. Also of note are the 6 varietals of olives on the property including a number lining their driveway; a limited production olive oil is made each year. And in a unique offering, Shirley makes a jelly by hand each year for friends and family from misplaced Chardonnay vines growing among their vineyards. With only a few Chardonnay vines, the challenge is remembering where they are located each year.